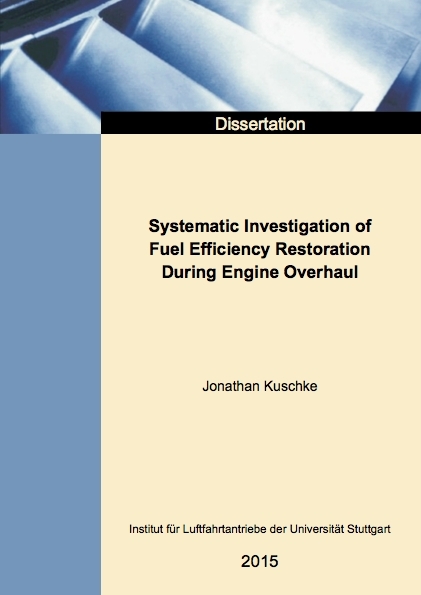 The increased importance of fuel consumption in the books of aircraft operators has led to a raised focus on the aspect of performance recovery for the engine overhaul process. It follows thus the need for a method to systematically and cost-efficiently investigate the impact of single workscope elements on engine efficiency. A survey of existing studies and methods shows that no method for an adaptive model, based on available field data has yet been established. Furthermore, any conceptual reflections to use field data to assess workscope impact on performance recovery are focused on the use of expensive test cell data, rather than on-wing data recorded during engine operation. To close this existing gap a new methodology is developed, correlating the engine overhaul’s workscope and its effect. With this investigation, it is understood for the first time what the feasibilities and limitations in correlating workscope and performance recovery are. The established approach provides a basis for systems aimed at systematically planning engine workscopes with respect to performance restoration.